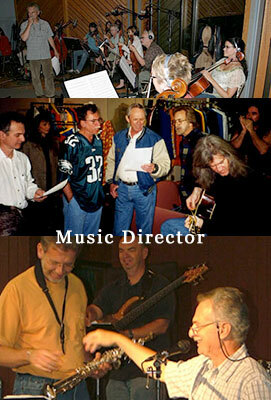 Music Director and composer Edgar Struble works in a wide range of media, with a primary focus in television and film. Edgar’s musical leadership has been a significant factor in the production of highly rated television specials and series over the years. His career in music production and television was launched in the mid ’70s when he began a 15-year engagement as music director for Kenny Rogers. He brings exceptional organizational skill and a passion for creativity to each project, inspiring collaborations that result in outstanding, cost-effective productions.